We are thrilled with this EXCITING NEWS and THANK our Heavenly Father for His many blessings! These are heady, happy times for the Church in Italy. Even as members in this European nation look forward to the fast-approaching dedication of the country's first temple, they have found reason to celebrate following a recent legal agreement with the Italian government. 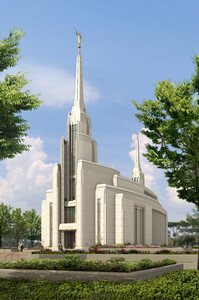 (Artist's rendering of the future Rome Italy Temple. The temple in the "Eternal City" will be the first of its kind in Italy. On July 30, Italian President Giorgio Napolitano signed documentation granting the Church official status as a religion and "partner of the state" in Italy. In the coming days, the "Intensa con lo Stato," or legal agreement, will be published as law in the Gazzetta Ufficiale, the official journal of the record of the Italian government. This historic legislation grants the highest status given to religions and ensures several benefits — both legal and symbolic — for the Church in Italy and its members. The agreements stands as a dramatic enhancement to the 1993 Italian legislation that recognized the Church as only a charitable institution. News of the signing has been met with elation by Latter-day Saint Italians in a storied land where Apostles Peter and Paul once labored. "This is a great miracle for us," Rome Italy Stake President Massimo De Feo told the Church News. "We have been waiting for over 15 years for this agreement." The Italian priesthood leader said the hand of the Lord has been seen throughout this process. Many in the Church have worked hard to build relationships with government officials with an eye to this important period. "On a spiritual level we can say that finally the Church is coming out of obscurity," he added. The agreement will also impact the day-to-day functioning of the Church in Italy. Priesthood leaders such as bishops, stake presidents and branch presidents will now enjoy government recognition as ministers and can perform civil marriages. 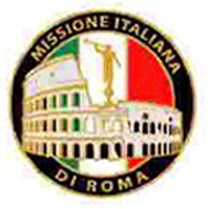 Tax exemptions will be available to tithe payers and some of the legal challenges facing foreign-born missionaries serving in Italy will likely be lessened. "We see this agreement as formal recognition for all the work we have been able to do to be known as good citizens and good members of the Church," he said. President De Feo said the Church in Italy has enjoyed significant growth in recent years. Since 2007, the number of stakes in the country has jumped to seven. Some 24,000 members call "The Boot" home, including many immigrants from Latin America and Southeast Asia who have found economic opportunities here. 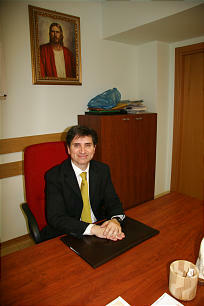 Craig Pacini presided over the Italy Rome Mission from 1999 to 2002. The longtime Church employee served a mission to Italy as a young man and has developed a deep love for the land, its people and its history. Word of the recent legislation was joyful news indeed for Brother Pacini. "For those who live in Italy, this step is really quite wonderful," he said. Having a temple built on Italian soil will mark the culmination of the Church's full arrival in the land of Columbus and da Vinci. "We will see blessings that will come to the entire country — not just the members, but also those who are not members of the Church," he said. The restored Church enjoys a long history in Italy. Elder Lorenzo Snow of the Quorum of the Twelve arrived in Genova in June of 1850, where he labored among the Waldenses people in northern Italy. The apostle dedicated the country for the preaching of the gospel on Sept. 19, 1850. More than a century of measured growth in Italy was rewarded on Oct. 4, 2008, with the Church announcement to construct the Rome Italy Temple. 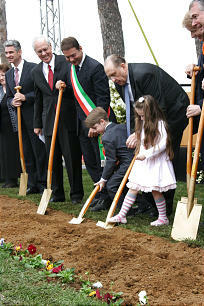 President Thomas S. Monson presided over the groundbreaking at the temple site on Oct. 23, 2010. If you or someone you know, (females) are going to Rome in the near future, the Canzachi family have an apartment and are renting a room in it, it's about 3 miles from the Temple. If you are interested please contact Arianna Canzachi at: acanzachi@yahoo.com or 011.39.06.868.012.23. I corrected the email, I am sorry, I left off .com!